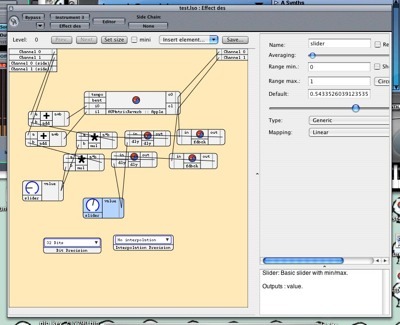 Make Your Own Mac Plug-ins with SonicBirth: Now Open Source; CDM SB Community? Want to roll your own effects and synths? SonicBirth is a tool for constructing VST and AU plug-in instruments and sound processors, via a graphical patching interface. It’s a bit like a friendlier, Mac-compatible SoundEdit. And now, it’s completely free and open-source. It works directly in the host. Boot up your favorite host software, and build effects and instruments live without leaving the program. It works with your existing AUs. Modify an existing third-party AU by adding to it whatever you want. Check out the examples. 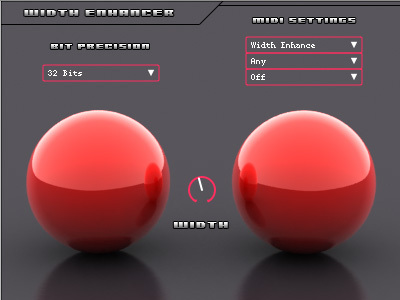 SonicBirth comes with a number of useful examples, from MIDI to audio, instruments to effects, valve simulator to convolution reverb to bass drum synth. Build Cocoa UIs. With a compatible host, you can build a Mac-centric interface. 64-bit support, Intel Mac support. I was going to write a caption for this, but I’m going to leave that to your imagination. I have to admit, my initial reaction to SonicBirth was “another patcher”? But its new open-source status could make it really take off. Anyone interested in helping crack it and make some great plug-ins using it, drop us a line. How about a CDM forum for exchanging tips, embarrassing ourselves with newbie questions, and sharing our work? Interested? Join the SonicBirth thread on our forums and let us know.